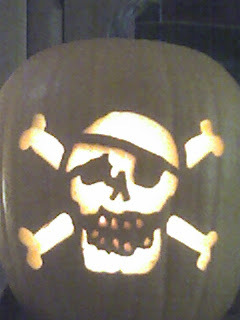 Probably my best Jack o'Lantern ever. I found the template in a book from Pumpkin Masters. Aaaaarrr! And a mighty fine pumpkin she is, me hearty!